As founder and president of the Snyder Financial Group, and most importantly as I seek to help our clients solve problems, financial and otherwise, I am committed to my calling as a servant-leader. To me, being a servant-leader means guiding people who want to be good stewards of their time, talent and treasure. Born and raised in Indiana and the second oldest of ten children, I majored in business at Indiana Central College before beginning my career in financial services in 1974. 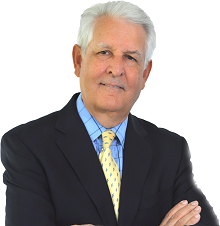 I established the Snyder Financial Group in 1985 and earned my CERTIFIED FINANCIAL PLANNER™ certification in 1987. Over the years, I have completed many additional courses in estate planning, retirement life planning, retirement income planning, asset allocation, and wealth management, and became one of the first Certified Kingdom Advisors in 2006. My wife Susie and I are actively involved in our local church, where we serve as care group leaders in our Bible fellowship class. Having been involved in men's discipleship ministries for over thirty years, I currently participate in a mentoring program to help young married men grow and mature in their family relationships and their spiritual walk. A member of the church's Stewardship committee, I have a passion to see fully-funded marriages and fully-funded ministries. Our family, which now includes two children and three grandchildren, has always enjoyed travel—to destinations across our country, with a special interest in historical sites, as well as international travel in Europe and Israel. Other hobbies include landscape gardening, golf, biking, and reading.